While most of the traders were waiting for a new re-test of the December’s Low, I said: on January 29-30, a new uptrend begins. How did I call it? After the fall of October-December 2018, there was uncertainty around the Stock Market. I admit I was not expecting such a big fall, but on January I understood the right path we had to follow. The first signal was the movement above 2600, and the up push of January 17 was a strong energy signal. 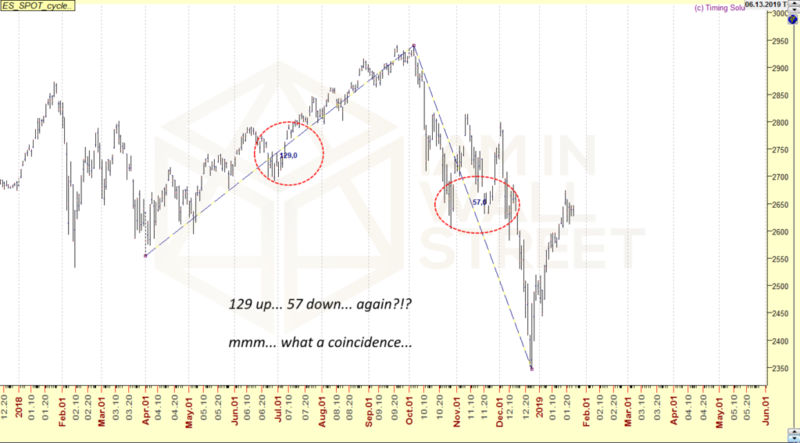 At that point, I said to follow the uptrend, and January 29-30 was a Key Date! I said that the new energy coming into the Market on that date would have been bullish. How did I call it? What cycle was I following? Usually, this information is for subscribers only, but this time I do an exception. This is just one part of the info I provided to my subscribers (just one cycle). Here is why I said to follow the uptrend and not expecting any re-test of the Lows (at least not now). We see this pattern repeating the same numbers over the time! Just a coincidence? Maybe… but what a coincidence! 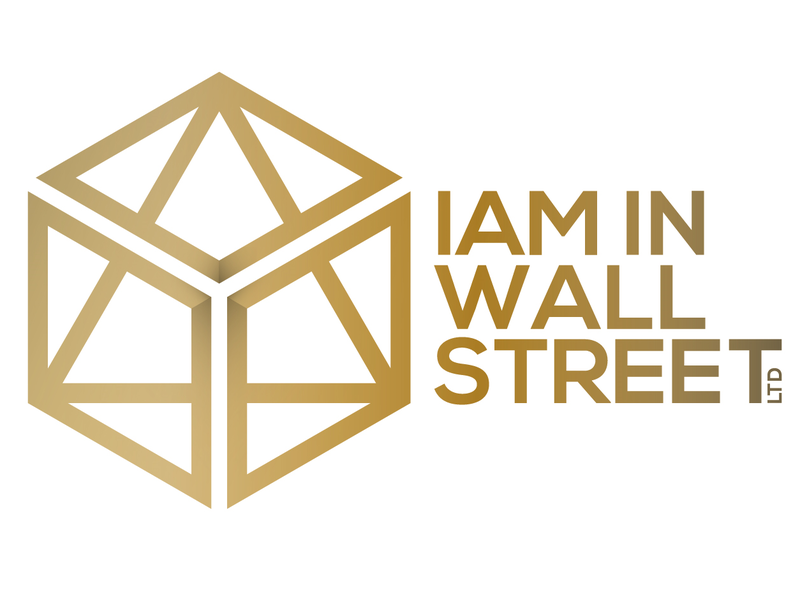 I know it is not a coincidence, and this is just a 20% of the work behind the results of I Am in Wall Street. There are several studies supporting this call, and not just one pattern. 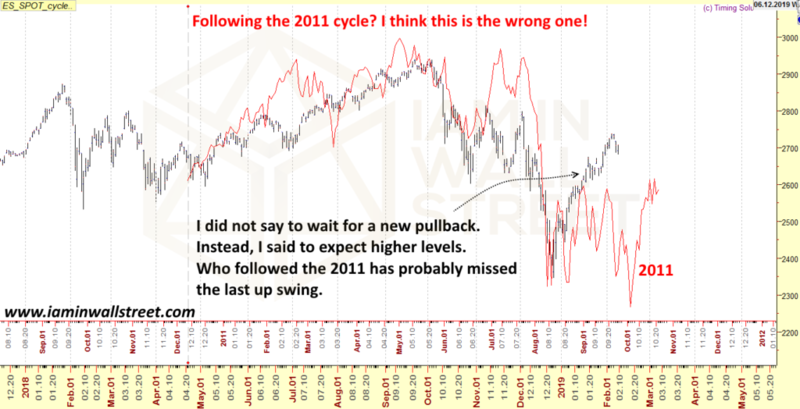 We said to follow this cycle, and not the one of 2011. I said to use January 29-30 to open LONG positions, and not SHORT positions (using always STOPS because I do mistakes too, sometimes). I said to my subscribers to use area 2600-2625 Index Points to accumulate for a new up swing. This pattern will not go on forever, of course. We have to keep working and keep updating the studies. So far, using it, we have been able to make good profits. We keep using it for a while, above all at some Key Dates for the future. 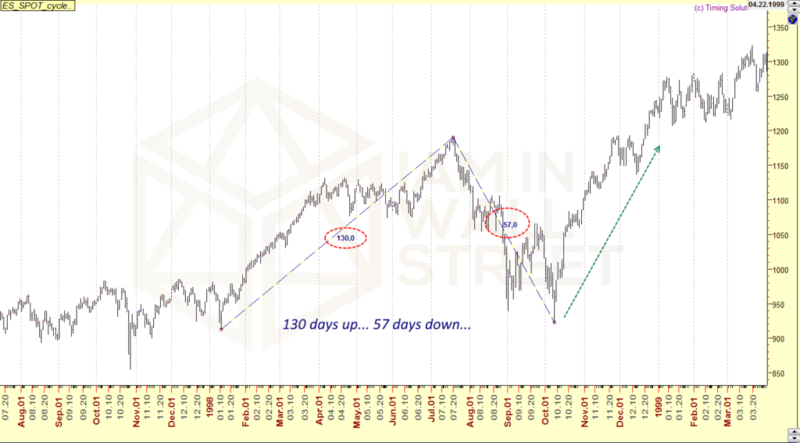 A few weeks ago, I told you a few possible important dates for the S&P500. You can read them here. The next is on March 6-7 (let’s say March 4-6). How to read this time window? More details in the Daily and Weekly Reports.